Small businesses usually start on a wing and a prayer (and often on a dime). New business owners put every bit of savings they have into building the company of their dreams. These hardworking individuals are almost always willing to do whatever it takes to make their small businesses grow large. In spite of such dedication, Forbes reports that 8 out of 10 small businesses fail. Your business does not have to be part of this statistic. 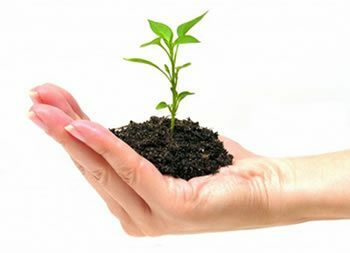 Although fledgling businesses start out fragile, they will flourish if given the support system they need. A social learning management system (LMS) provides the ideal support system for a brand new business. One of the benefits of owning a small business is that you can easily correct organizational mistakes, learn from other business owners and bypass major goof ups. One mistake you can entirely avoid or quickly mitigate is using an in-person, traditional training model for employee education. In-person training is not bad, but it is not good if there is no online learning (eLearning) to balance it out. Most employees do not relish the idea of attending boring, classroom-style training sessions. Can you blame them? Small businesses are better off using a social learning model for their employees’ training needs, and performing in-person training occasionally. Most employees prefer eLearning because they enjoy its social features. (This is especially true of Millennials, who, by the way, will comprise about half of the U.S. workforce by 2020.) Realtime chat, calendaring, personal profiles, web conferencing (video, screen sharing, etc. ), polls, announcements, and blogs are social learning features that many eLearning systems come equipped with. These tools facilitate relational, collaborative learning, and encourage the use of social media for professional communication. A social LMS gives you everything you need to do training right, from the get-go. Company culture has a whole lot to do with small business growth. If a business has a not-so-great organizational culture, it will attract not-so-great employees. Conversely, a company with an engaging, exciting organizational culture usually attracts top-notch employees. Organizational culture, be it good or bad, also has a significant effect on employee retention rates. Like it or not, if your small business currently has a negative culture, it will probably remain unappealing until you, the business owner, take steps to change it. Perhaps you are well aware that your business’s culture needs a shot in the arm, but don’t know how to turn it around. Implementing a quality LMS is one of the most dynamic things a business owner can do to transform unattractive organizational culture. You may be wondering how in the world an LMS, of all things, can bring about quick change in company culture. First, an eLearning system creates corporate unity by breaking down educational and linguistic barriers and bringing knowledge right to your employees’ fingertips via mobile learning. Second, a social learning management system strengthens workplace confidence by delivering necessary training to employees and ensuring they are updated about company events, policies, trainings, etc. Also, because social learning is fun and relational, not mundane and dry like traditional learning, it has the power to kindle a warm, vibrant organizational culture in a small business. Which LMS Is Best for Your Small Business? There are a lot of social learning management systems on the market. Which one is best for your small business? Consider TOPYX, an award-winning LMS loaded with growth-promoting features like social learning, mobile learning and client services. Unlike other eLearning systems, TOPYX does not charge per user. This means, whether a business has 2 users/employees or 200,000, TOPYX’s flat-rate cost remains the same. As a small business owner, you have the unique advantage of correcting company culture and setting up a training model that works before your company significantly expands. What steps will you take to ensure your business has the support system it needs to prosper? Implement a quality LMS to set your small business up for big success.